Trust Our Reputation. Count on Our Character. MAKE THIS YOUR WORLD WIDE HQ, READY FOR IMMEDIATE OCCUPANCY! This 3 story, 16,000+ sq. ft. building situated on 8.229 acres (room to expand) fronting US-287, is just 5 miles North of the US-287, TX 114 junction (the pathway to the West) coming out of the Metroplex. Phase I ESA completed in December 2018 with no issues and the entire building has just been completed with a rigorous maintenance workup. Floors 1 & 2 offer ample office, meeting, production, storage & distribution options. Third floor is set up for you to finish out. Don't miss out on this unique opportunity. For those who see to the future! Total complete makeover with passion & creativity as part of the materials used puts you in a 'Peaceful Easy Feeling' which was a frequent nesting place for the 'Eagles' in the mid 70's & early 80's! Boosting over .5 acre private gated, 3 bedroom, 2.5 baths, 2400 sq.ft, new dock & stairs to the water & all the quality finish out expected for this Eagle Mountain Lake game changer. Overlooking the deepest, widest, coolest & bluest part of the lake the home's 'casual luxe' radiates throughout. Very impressive frequent Sail Boat Regattas, July 4th fireworks show, Christmas Parade of Lights Boat Show. The great new dock will cradle your boat, up to 26', & 2 jet skis with 15' of water at the lift. Built in 2009 (wear & tear is almost nonexistent), the original owners designed this private gated home to drink in the lake views from many angles. 5 bedrooms, 3.5 baths, almost 3700 sq.ft. & close to one acre (not one sticker) make this a Trophy Waterfront Home. A unique 'misting' system makes spiders, etc. rare on the dock & around the home. Tasteful granite covers throughout complimented with Knotty Alder cabinetry are just a couple of the amenities that create a Cool Elegance without the coat & tie. Great water depth at dock, 142' lake frontage & boat ramp for your water toys makes you ready for the full lake experience. This property is a '10' on the fun meter! Ask for the Editorial on this property. On the Trinity Trails . . . beautiful hardwood floors, nine foot ceilings downstairs soar to 20 feet in the dramatic great room with its vaulted beamed ceiling and Juliet balcony. The kitchen is a chef’s dream with its fabulous gas range, custom cabinet interiors and exceptional equipment. The master bath and upstairs shared bath have been completely updated. The mother-in-law suite is split. The back yard has been transformed. Living, dining, woodburning fireplace, full kitchen, waterfall feature, all highlighted with great lighting. The two car detached garage was built for storage. Kayak locker. Sauna and surrounding patio become a seasonal greenhouse. This completely renovated 1949 built home still has its original charm & a fantastic location. The spacious kitchen boasts a large island, gas range, wine refrigerator & plenty of storage. There is a large pantry off the mud room. The family room with a wall of built ins looks out on the spacious backyard & covered flagstone patio under a lovely live oak tree. French pocket doors connect the family room to the dining room. The large living room complete with a wood burning fireplace & a large picture window. This home has been meticulously maintained. Including a new roof & all new windows in 2017. Radiant barrier in the attic & added insulation. New two car carport & storage building complete the property. Beautiful acreage with big trees, meadow & tank. Has a covered area for equipment, party pavillion & fire pit. Great development potential or perfect place to build your dream home. The owners have designed a 'casual lux' which is radiated throughout this 4 year old, 3,700 sq.ft., 4 bedroom, 5 bath, 10 acre property. Exceptional craftsmanship intertwined with modern conveniences, a party deck with outdoor entertainment kitchen overlooking a cool pool, a 1200 sq.ft. man workshop that will even tempt the most polished of 'nails', no neighbors in sight, 'wrapped in a warm blanket of nature' all combine for a $699,000 asking price. The windows throughout the home strategically afford a sweeping visual offering the 'outside in'. Buyer beware though, after viewing you may want to offer more! Texas size drool towels are available & you will need them for all of the VIEWS, VIEWS, VIEWS! 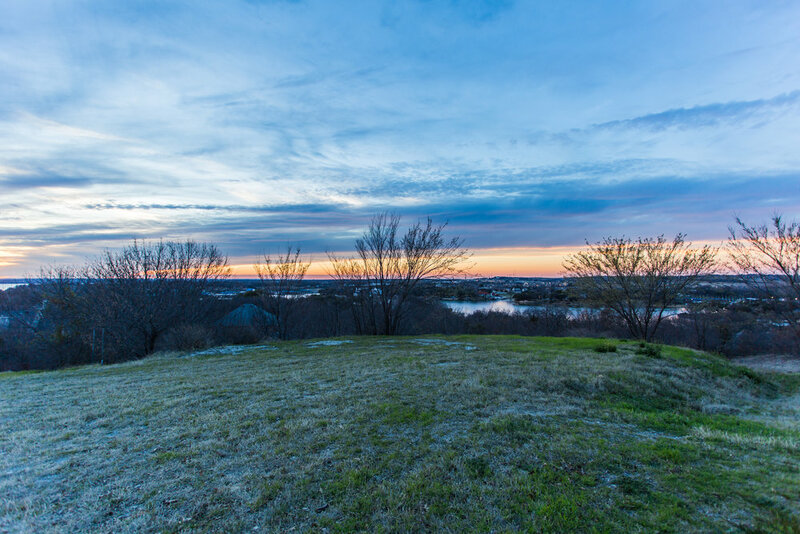 ”When I came to the edge of this hill & saw these views, I knew I had to move to this area - LAKE COUNTRY!” Sunrise, sunset, countryside for miles, & the beautiful Eagle Mountain Lake are the views you can drink in daily. The development potential for these 5+ acres is limitless. Your own private chateau, family compound, even a 20+ lot community. All of this with access to a private community boat launch around the corner. In the desirable Eagle Mountain ISD. Easy access to all things Fort Worth (one of the Lonestar State's best cities to reside) - downtown, the historical stockyards, the cultural district, and so much more. The dream begins with you! Not JUST a pretty face & great location, this home has it all. 3 bedrooms, each with full bath, private stairway to 2nd master suite, all the upgrades including stone flooring, plantation shutters, granite, two gas fireplaces – one on the comfy patio perfect for your morning coffee or evening aperitif. Close to the bricks of Camp Bowie, easy access to I-30 and a stone’s throw to Central Market. Who wouldn’t live here? Don't miss this rare opportunity to purchase this amazing energy efficient, custom 5 bedroom, 4 bath home in the desirable Fairway Estates! Overflowing with upgrades & charm, this home boasts wood flooring, crown moldings, arched walkways & a recently remodeled master ath with walk-in shower that will WOW you! Entertain like a pro in the gourmet kitchen with butlers pantry, gas cooktop, double oven, granite countertops & a breakfast bar opening to the living, so nobody misses the action! The first floor has a hard to find secondary bedroom & there are 3 more upstairs, including one ensuite & another that could be a theater or gameroom. The outdoor oasis with pergola is perfect for an amazing backyard get-together! Wonderful 2 story 4 bedroom 2 bath log built home on 5 rambling acres. Home has 8 inch diameter Tennessee Heritage logs and has been clad with siding for protection and increased insulation and efficiency. It has inviting front and back full length covered porches, an oversized 2 car garage with an attached 10X24 workshop. And in addition this property boasts a 40X60 steel Quonset hut building with concrete slab, electrical and double end sliding doors. No wait there is more!! NO CITY TAXES!! This parcel of land could easily have 1-2 more homes built on site. You are 14 miles from Texas Motor Speedway, Alliance Airport and is only 5 miles from a public boat ramp at Eagle Mountain Lake. You can have it all! Finally, a lake front home with privacy that even the pelicans, geese and waterfowl seem to agree as their favorite part of the lake. Less boat traffic with water depths plenty sufficient for boating, skiing, jet skiing and of course great fishing. This 2800 sq.ft. home has had an extensive remodel including rock and stone work you'd expect to see at the south end of the lake. Relax with a beverage at the swimming pool and drink in nature's outdoor aviary year round. Almost a full acre lot, 2 workshop outbuildings, a comfortable guest house (450 additional feet and bath), quiet street, 100 yards from only free public boat ramp on EML, 8-9 minutes to Hwy 278 and the lowest property tax rates on the entire lake, what's not to like! LOOKING FOR 2 MASTER SUITES? Don’t miss your chance to purchase this 5 bedroom with OPEN FLOORPLAN and POOL! The homes gorgeous stone and brick exterior together with a welcoming entryway with wood floors will really Wow. The floorplan presents many flex room options that will work for any buyer. The formal dining could be a study or 3rd living, the Second story living could be a playroom or study and the Double Master Bedroom offers many options. The large Gourmet Kitchen boasts Stainless appliances, a Massive pantry, Granite counters and large island that opens to the living so no one misses the action! Then when ready to cool off on those hot summer days your steps from the POOL! This charming 2 bedroom, 1 full bath home is found in the heart of the TCU area. Spacious closets in the bedrooms and extra room in the garage meet all of your storage needs. Garage can be used as a workshop if desired. Large backyard with patio. Excellent investment opportunity! Extremely well-kept home in the desirable Marine Creek Ranch. Tile throughout the main living spaces that looks similar to hand scraped wood without the additional maintenance. Four spacious bedrooms with an additional office space at the entrance of the home. Two dining areas (one is currently being used as a playroom as pictured). Large kitchen with a skylight. No need to turn on the lights there during the day because of the natural light. Covered patio is perfect for cool spring evenings. Enough space for all of your needs! Wonderfully updated with ceramic wood like tile, new granite back splashes, new HVAC, flooring, wood accent wall, master bedroom, and plantation shutters. New kitchen appliances include a new refrigerator and oven, along with ceiling fans, lighting, washer & dryer set and industrial shevling. Priced to sell! Come see today! A perfect home for gatherings of all kinds & all ages. Holidays, birthday parties, small groups & more. This 4 bedroom, 2.1 bath home on a CORNER LOT has a nice sized fenced-in backyard ready for gardening, cook-outs, soccer games & pure enjoyment! The inside has an open concept floorplan. The kitchen & living area flow seamlessly together to ensure that the chef never misses out on the action. Two dining areas include the eat-in kitchen and the formal dining room. The master bedroom is downstairs and the upstairs boasts three well sized bedrooms, a full bath and a second living area. The community pool & park provide outdoor entertainment all year long. 753 Tuscany Trail is a wonderful place to call home! This love of a home is on the market for the first time in over 30 years. Meticulous care is evident from the moment you exit your car. Warm and inviting with countertops, backsplashes, appliances and 2 gas water heaters new in 2013. Enclosed outdoor patio offers additional living space. Cellular window coverings are energy efficient. Solar panels installed in 2014, cover 85% of the average monthly electricity usage. Washer, dryer, refrigerator and Garden sheds to remain. Sweet vintage modern ranch home, in the cool kids neighborhood. Mature trees, vintage vibe in historic neighborhood without the restrictive overlay. Corner lot with detached garage. Many closets and storage space with this property. Located so close to downtown, you are there and home in just minutes. Upon entering this four bedroom, two and a half bathroom home you are greeted by a Grand floor to ceiling fireplace that acts as the centerpiece to this jewel of a home. With the Master being downstairs and three bedrooms upstairs plus a bonus room, this home makes for an easy living lifestyle. You'll also notice a very creative design to this home that sets it apart from the common cookie cutter houses at this price point. So hurry on in and see what all the fuss is about before it's too late! The only vacant lot less than acre (.85) available on the entire lake with trees plus almost 170' of lake frontage. Nature's private presentation of wildlife and serenity make up for the water depth which watercraft can still be navigated in. The existing well, septic, wooden deck and vintage garage are a great start to that cozy lake cabin or something bigger (Google 153 Marshal Road, 3 homes down further into slough to see what could be done with the same lot size)! Least expensive property tax rate on the lake. Great neighborhood and neighbors make it ready for a peaceful stroll along the street of Marshal waterfront homes. Less than 10 minutes to Hwy 287. Come daydream and leave tomorrow behind!